Birkhold & Maider, LLC lawyers practice New Jersey criminal and law serving clients accused of drug offenses in misdemeanor and felony cases. While many cases of possession of a controlled substance begin as the result of routine traffic stops, searches and seizures can happen anywhere. If you are facing charges for this type of offense, a experienced Drug Offense Lawyer at Birkhold & Maider, LLC can assess your case with no cost or risk to you. New Jersey Controlled Dangerous Substance (CDS) laws can be complex, as can the circumstances surrounding warrants, searches, and arrests. 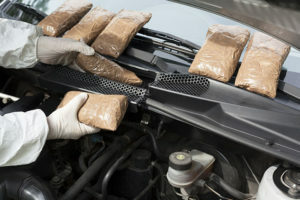 If you are facing a drug possession charge in municipal court for having a controlled and dangerous substance on you, an intent-to-sell charge for having CDS and trying to sell it to another person, a charge for selling drugs due to successfully making a drug transaction, or any combination of the three, you need to get the right help on your side. What Happens If I Am Convicted In Essex County? Drug convictions can have devastating consequences that could follow you for the rest of your life. Whether you are facing charges related to cocaine, ecstasy, heroin or other opioids, marijuana, methamphetamines, or prescription drugs, don’t give up. Often a criminal prosecution can be avoided in New Jersey by filing for admission into New Jersey’s Pre-Trial Intervention (PTI) Program. If you are admitted, you will be eligible to get the treatment you need without having to face jail time. After carefully reviewing all evidence in your case, a Drug Offense Lawyer at Birkhold & Maider, LLC will devise your best strategy for defending against the charges. Some common defenses of these charges include: lack of probable cause to arrest, no reasonable suspicion to stop your car, no probable cause to ask for consent to search vehicle, no explanation of right to refuse consent, consent to search not given voluntarily, no actual or constructive possession, exoneration by co-defendant, challenges to lab testing, no warrant to search, and other challenges that may come out of an analysis of the evidence and circumstances of your case. Every attempt will be made by our attorneys to see you are fairly treated and all potential legal avenues are explored, including the possible above-mentioned diversionary programs for first-time offenders. A Drug Offense Lawyer at Birkhold & Maider, LLC, will serve accused parties and their families in many townships and jurisdictions across New Jersey including Newark, Belleville, Paterson, Clifton, Passaic, East Orange, Bloomfield, Nutley and other townships in Essex, Passaic, Bergen, Union, and Middlesex Counties, and beyond. Our attorneys represent clients in jurisdictions across the state of New Jersey including, but not limited to, Essex County Superior Court, Passaic County Superior Court, Bergen County Superior Court, Union County Superior Court, and Middlesex County Superior Court, among others.